Sony QX1: clunky contraption or model for a modular future? Is Sony's QX1 a clunky toy, or will phones and cameras get more configurable as time goes on? Who wants bokeh and softbox lighting from their phone? What do we all think of the Sony QX1, the smartphone-controlled “Lens-Style Camera”? 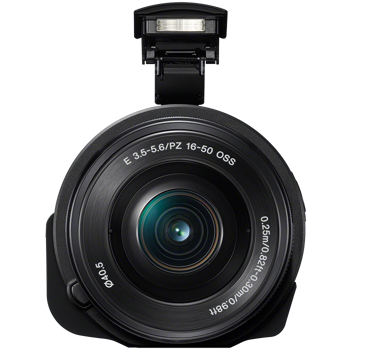 The QX1 is a Sony Alpha mirrorless camera without most of the camera. It is an APS-C sensor and a lens mount, which coupled with an E-mount lens can be handheld to take photographs freestyle (blindly) or with the aid of a WiFi-connected Android or iOS smartphone as a viewfinder. Despite lacking its own screen, grip or many controls, the Sony QX1 does have a built-in pop-up flash, which makes it one of the only reliable ways to add a proper Xenon flash to a cameraphone, other than the Nokia 1020 or Samsung Galaxy K. Optical slaves combined with such cameras would make the most share-able studio lighting setup ever. What makes the concept (if not the product itself) compelling is the modularity of the whole system. It is a connected revisit to medium format cameras with interchangeable backs, or even the more recent Ricoh GXR. Google’s Project Ara isn’t here yet, but as of October you’ll be able to get a camera system where the lens, screen/controls and sensor/mount can be changed independently of one another. Imagine having a DSLR where you could upgrade the sensor without buying a whole new body and screen, or vice versa. If based from your phone and various modules, you could have “a camera that’s always with you” while being able to take a little more camera or a little less camera to fit the situation. Also: off-camera flash and bokeh from your phone! Could we see more systems like this, or is the QX series just a gimmick? Sound off in the comments below. Update 16/9/14: Olympus clearly agrees with me and have just announced the Open Platform cameras initiative. 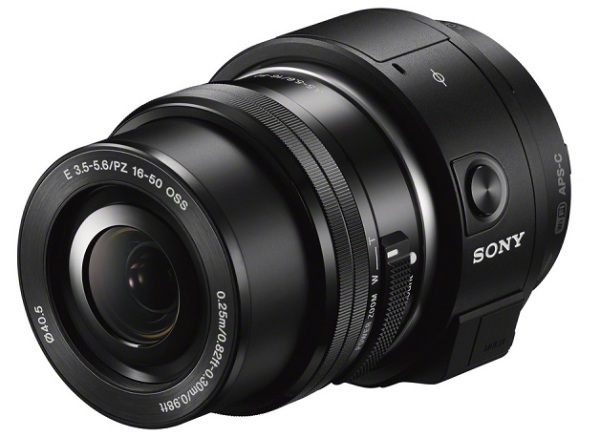 The Sony QX1 Smartphone Attachable Lens-Style Camera will be released on 15 October 2014. It is available to pre-order for $398 from Amazon, Adorama, B&H et al.